Marinaleda is a town and municipio of the province of Seville, (Andalusia, Spain). Since they occupied the estate of a local aristocrat 20 years ago, the inhabitants of this Andalusian village and its fiery mayor, Juan Manuel Sánchez Gordillo, have been synonymous with the struggle of Spain's rural poor. The local government of Marinaleda expropriated thousands of square meters of land, now communal propriety, aiming to find land to build new houses. Then it called upon the national and regional Governments to gain funding for the construction. all the self-builders finally meet in a consultation to work out the monthly payment to achieve ownership. The last houses have been built and bought at a cost of 2,550 pesetas per month (approximately 15€ per month). The whole process is based upon the idea of self-management and recurring consultations: the self-builders meet once or twice a month to follow the works or modify the projects on paper. All houses have 3 bedrooms, a bathroom and a garden of 100 m², allowing for future expansions. Marinaleda counting 3000 inhabitants and more than 350 single-family houses have been built according to this scheme. With virtually no police, crime or unemployment, meet the Spanish town described as a democratic, socialist utopia. Unemployment is non-existent in Marinaleda, an Andalusian village in southern Spain that is prosperous thanks to its farming cooperative. The avowedly communist Andalucian town of Marinaleda has fought state and private power for decades. But is it a model for others? Marinaleda is a town and municipio of the province of Seville, Andalusia, Spain. The town is a communistic farming cooperative, of 2,700 people. In 2008 its population was 2,708 people. Its surface is 25 km², with a density of 109.11hab/km². 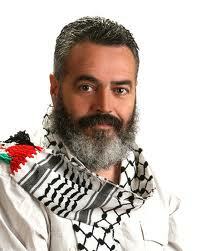 For over 30 years the mayor of Marinaleda has been Juan Manuel Sánchez Gordillo of the United Left Party. Gordillo has annoited Marinaleda a "utopia for peace", which has no municipal police (a savings of $350,000 a year). Additionally, political murals and revolutionary slogans adorn the town’s whitewashed walls and streets are named after Latin American leftists. Every few weeks, the town hall declares a Red Sunday over a bullhorn and volunteers clean the streets or do odd jobs. "They all thought that the market was God, who made everything work with his invisible hand. Before, it was a mortal sin to talk about the government having a role in the economy. Now, we see we have to put the economy at the service of man." Marinaleda has a long tradition of sociopolitical struggle by agricultural laborers, which has influenced decisively the attainment of diverse political and social advances. The town operates a farming cooperative, of 2,650 people. Marinaleda is surrounded by sloping olive groves and features a 3,000-acre (12 km2) farm. The farm is located seven miles (11 km) north of Marinaleda, and grows labor-intensive crops like artichokes, hot peppers, broccoli and broad beans, as well as wheat. Marinaleda represents a local exception of the housing crisis currently happening in Spain and due to speculation. Marinaleda was also in the national news as soon as it became known that one could buy a house for 15 euros per month, providing that one would build their own house.